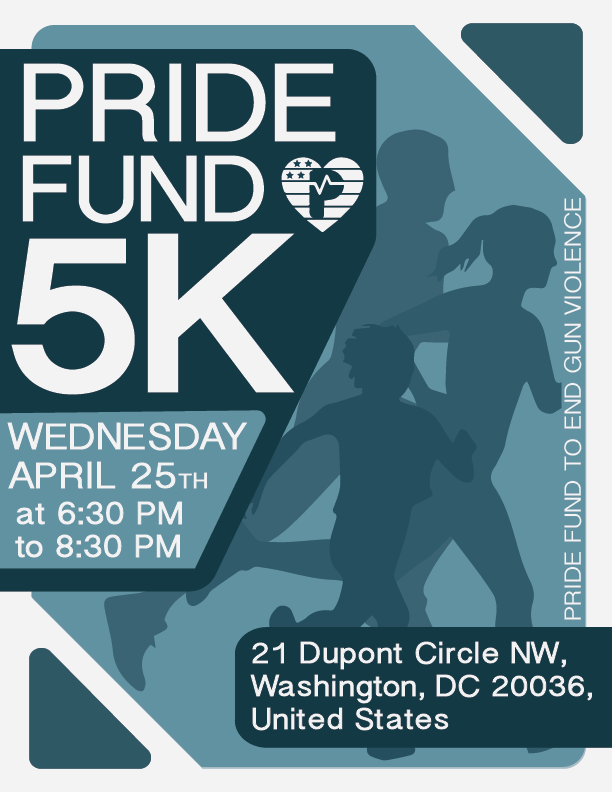 Run, have fun, and enjoy great company while we work to end gun violence and protect the LGBTQ community! All runners will receive a t-shirt and are invited to attend a reception immediately after the run. We will meet in front of Pride Fund’s office (21 Dupont Circle) between 6:30-6:45 PM, and we will begin running at 6:50 PM. We’re bringing the DC community together to fight for change and to elect leaders who will stand up to the gun lobby while championing LGBTQ equality. Can we count on you to join us? Purchase your ticket here!